There’s so many places to buy reloading supplies. Our recommendations come from years of personal experience and asking high-output reloaders (think fully-automated presses) where they get their stuff. 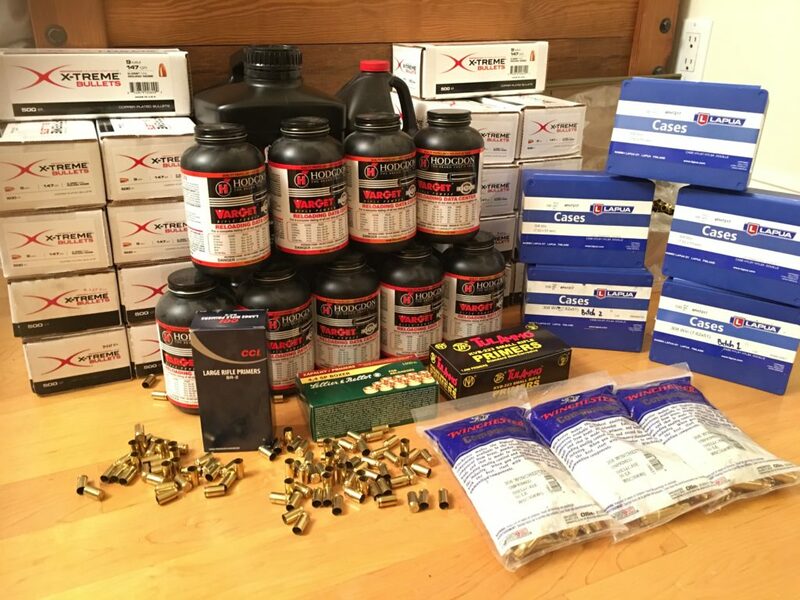 Ready for picks of the best & most affordable places to buy your powders, primers, brass, and bullets? Let’s get started, but first…a little disclaimer that this is purely educational. 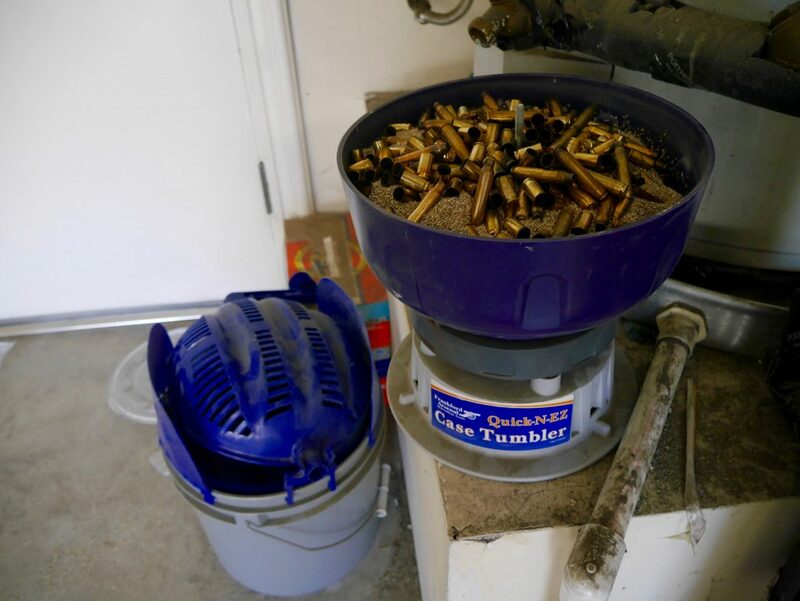 Take care in reloading since it could be a potentially dangerous hobby. Now that we got that out of the way…do you have everything you need before looking for supplies? You’ll first need to know the basics of reloading. Our handy Beginner’s Guide covers all that. Then you’ll need a press. We’ve got that covered too with our recommendations of the Best Reloading Presses. And reloading dies! We’ll have a guide up for this too but you can’t go wrong with any of the well-known brands: Lee, Redding, & RCBS. And finally, I recommend getting a reloading manual that lists the best powders and initial starting grains for your specific caliber and bullet weight. I’m all for info on the internet, but for stuff that goes boom in my hand, I prefer something from a trusted source (at least to start off). In an ideal world…whatever powder you want would be readily available and cheaply shipped to you. BUT…depending on the current state of laws or current events, you might have some trouble finding your specific powder. However, I’ve found by using both Cabela’s and Natchez, you’ll have the best mix of availability, shipping, and price. Availability: It’s a big company so it likely has better buying power during times of powder shortages. You’ll find things in stock more often than smaller stores. When no one else stuff during panics…I found my powder at Cabelas. 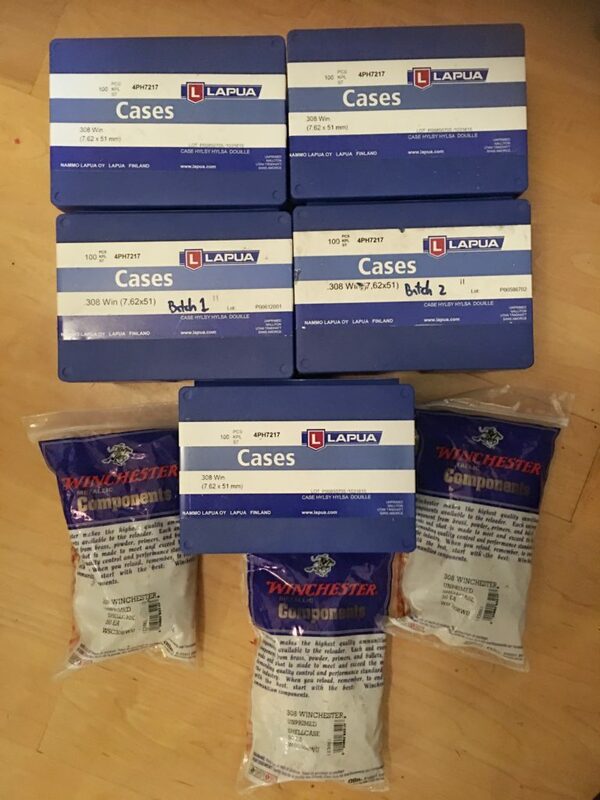 Shipping: You have to pay for “Hazmat” shipping for powder and primers which is usually around $30. PLUS regular shipping for most places. Cabela’s runs lots of shipping discounts (shown on the top of their website) so you get to offset some of the pain. Usually these will have minimum spend but you’re probably buying powder in bulk anyways. What’s your experience buying reloading components from Cabela’s? Availability: It’s not as big as Cabela’s but they focus only on shooting sports. So they have pretty good selection too. If you’re looking for something popular or rare, you’ll likely find it in the combination of Cabela’s and Natchez. Pricing: Most of the time Natchez has Cabela’s beat on pricing. For example my go-to for .223 is Accurate 2230 and Natchez has it for $23.49 (1lb) and Cabela’s has it for $27.99. Another is Unique which I use for 9mm. Natchez has it for $21.99 (1lb) but is out of stock, while Cabela’s has it for $27.99. Shipping: You’ll have to do the math based on the price difference and shipping, but usually the savings from the actual powder is offset by their shipping. They do both Hazmat and regular shipping…but I don’t see shipping coupons nearly as often as on Cabela’s. Primers are usually easier to find than powder since each size works for a variety of calibers. However, there still are differences, such as primer hardness. 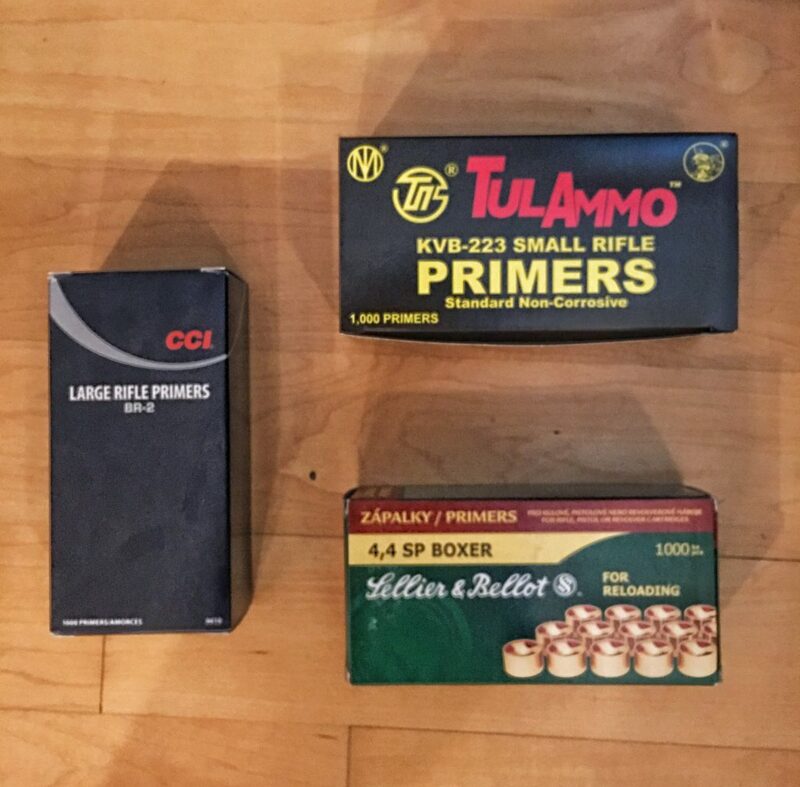 If you’re really competitive shooting and have lightened your hammer, you might want a softer primer such as Federal compared to a harder one like CCI. Learn more about optimizing your load in our guide (coming soon). Otherwise I’d say go with the cheapest primer in the size you want. I’ve only used “hard” primers such as Tula and Sellier & Bellot just because I found a killer deal on them (from Cabela’s). And primers are like powder. Since they go boom, you’ll have to spring for the Hazmat fee of around $30 even if you order one. I recommend buying a bunch and likely combining it with your powder order. There’s usually a total pound limit for retailers but it’s something pretty high (like 48 lbs). And you probably guessed it…it’s the same recommendations as for powder. Try out Cabela’s and Natchez for primers. If you’re having trouble figuring out how many primers to buy…look in your reloading manual for the average weight of charges for your caliber/bullet. Then remember than there’s 7000 grains in 1 lb. Do some math to find out how many rounds you can make with your powder, and buy the appropriate amount of primers. You’ve been keeping your spent brass right? Don’t worry if you haven’t…we’ll go over that too. 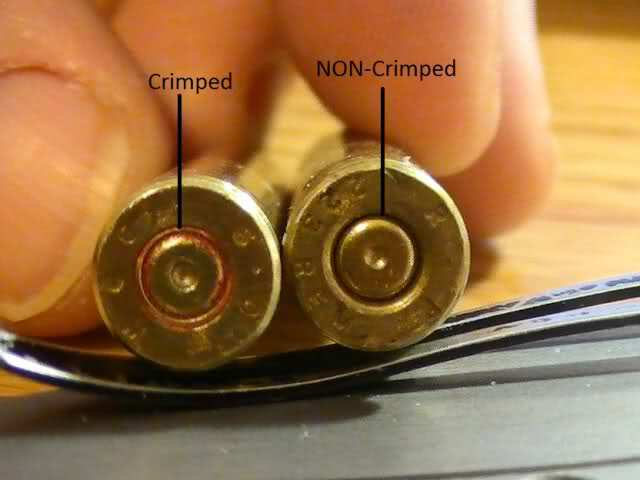 As for prep…it’s different for each caliber so consult your reloading manual. So you need to buy brass. You have the choice of either new brass or “once-fired/remanufacturered” brass. 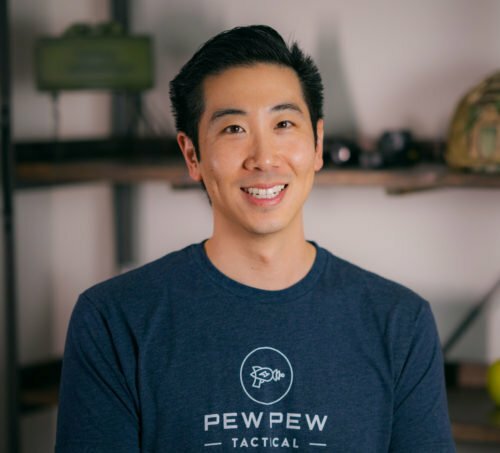 I’d recommend shooting new brass only for precision rifles. Or if you’re a big baller since it’s going to cost a bunch if you use it to reload for common calibers. 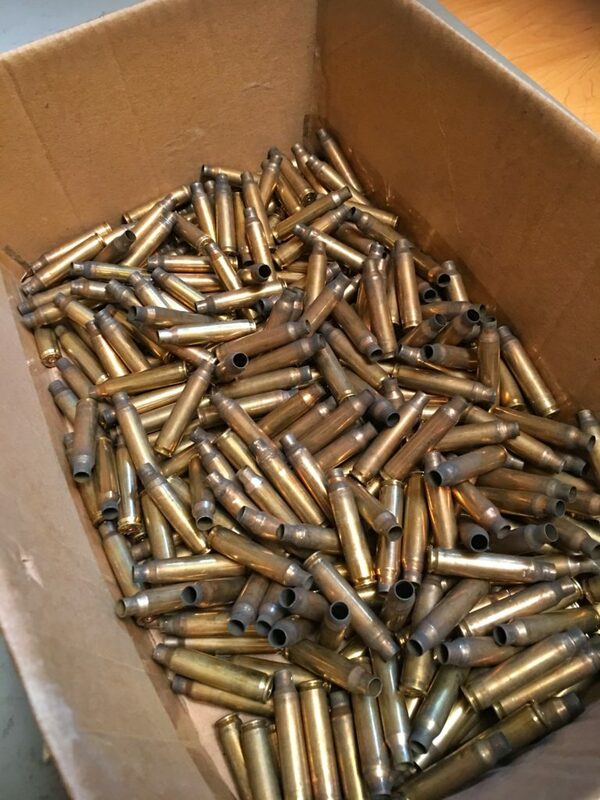 So just get some brass ammo, shoot, and pick up your brass! I’ve only bought new brass for my long-range .308’s. I like Winchester for semi-auto but for my bolt guns I go for the best…Lapua. The price will make you cry. But you’ll likely never lose your brass and you can use it for many reloads as long as you take care of it. Again…look at Cabela’s and Natchez and Brownells for new brass. You’ll find slightly better deals if you go with cleaned and resized brass. But to get the best deal you’ll have to get some dirty brass and do it yourself! 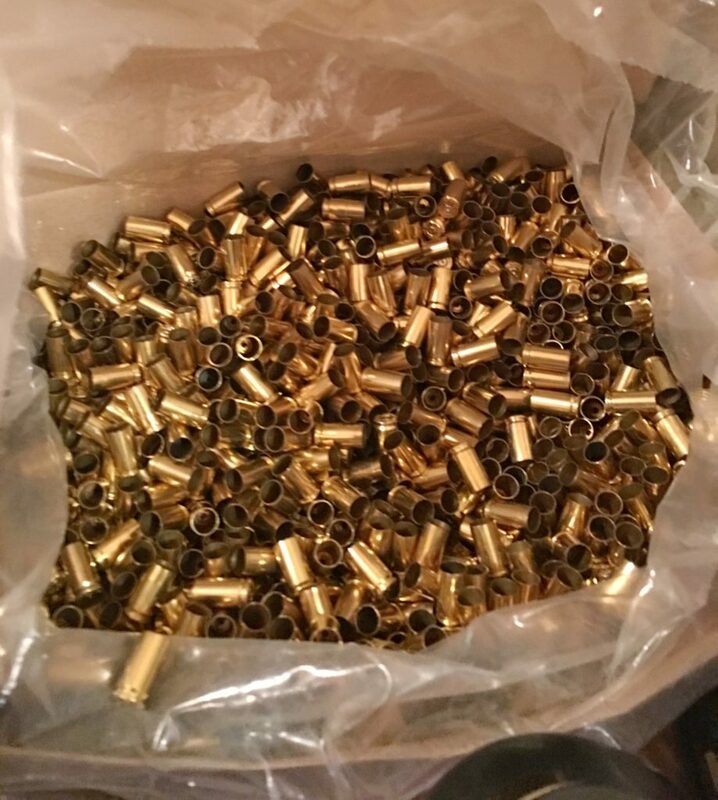 If you don’t have your own brass…I would suggest Monmouth Reloading and Brassman Brass. 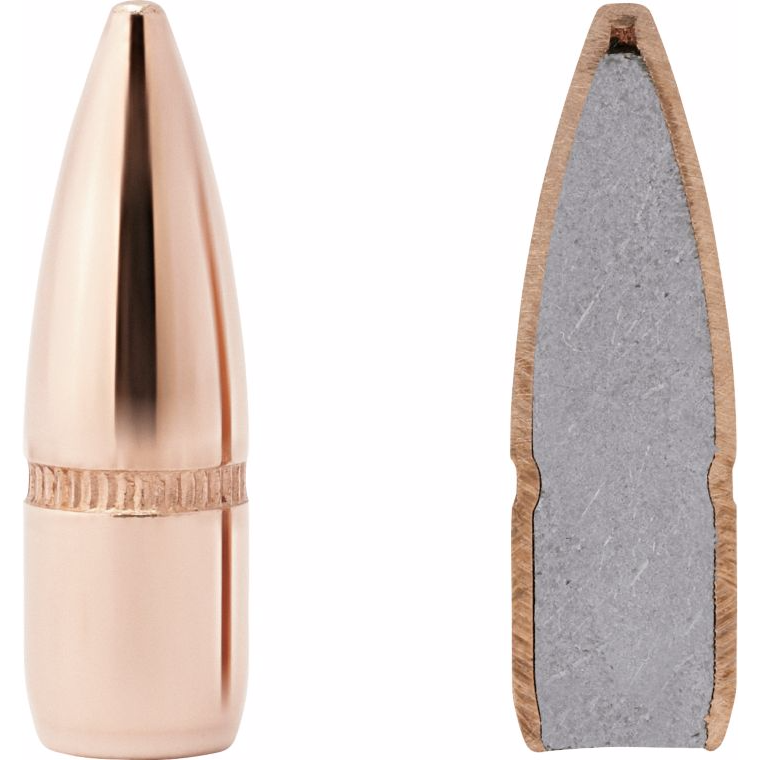 Note that if you buy “NATO” or “military” brass (especially for 5.56)…you’re going to have to do some extra case prep since they use crimped primers that don’t easily allow you to re-prime them without making the primer pocket bigger. There’s lots of types of bullets and even more calibers. The short answer is I like buying again from Cabela’s and Natchez. But I’ll offer some suggestions on the ones I personally use for my reloads. I reload/shoot 9mm the most and have tried a bunch of bullets. 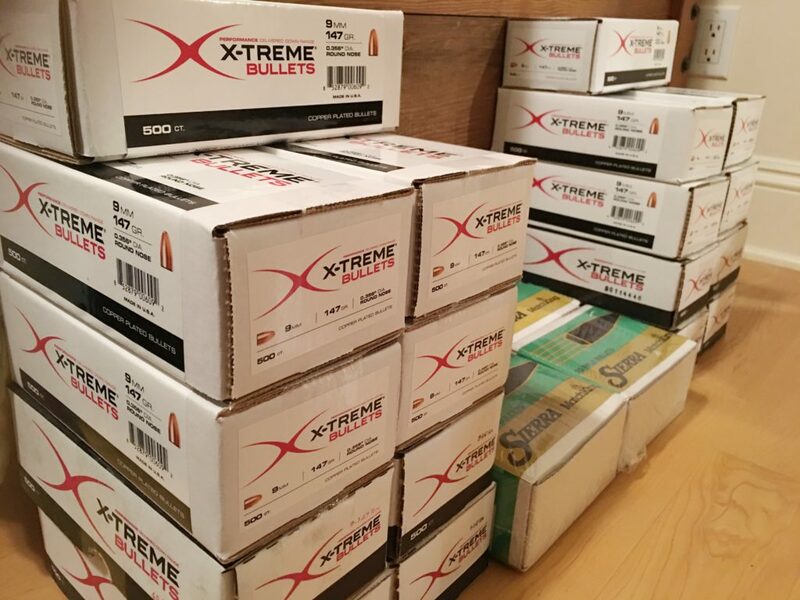 My go-to is Xtreme Bullets with a close second of Berry’s Bullets. They are the most affordable and shoot more accurately than me. As for weight…I recommend trying out 115/124/147 gr. I personally like the heavier 147gr since it feels more of a “push” instead of a “snap”. If you read around some top shooters will say since they are “plated” they are inferior. Maybe…but I’m not good enough or shoot fast enough speeds for it to matter to make the switch to more expensive “jacketed” bullets. I’m sure their stuff is great for other pistol calibers…I just don’t reload anything besides 9mm. For my general plinking round I go with Hornady 55gr FMJ/BT bullets while I like the 75gr for more precision loads. I like the ones with “cannelure” (the little ridges that grip the case) since it gives me a quick reference point if I’m loading at correct length. For my .308 reloads I go with the gold standard of Sierra MatchKings (SMK). I tried a couple weights but settled on 175gr but many people like 168gr as well. They should be awesome for other rifle calibers too. That should be it…the best places online and even some suggestions for what I use. The combo of Cabela’s and Natchez should serve you well. 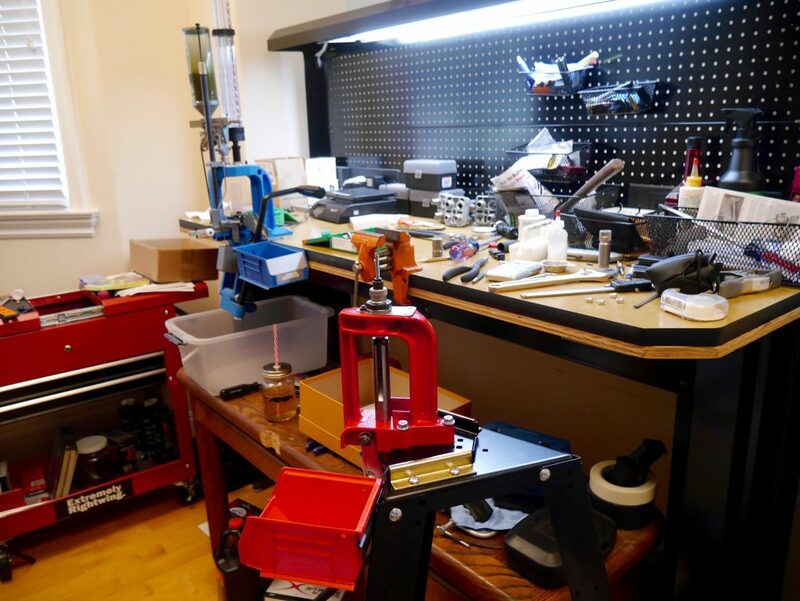 Need a refresher on reloading or still looking for a press? Or did we scare you off and now you just want to buy pre-made ammo from the best place online? I like your article. It gives good info on bullets and powder. Best of all you speak of Nachez and Cabellas’s as places to purchase. Boy are you on point.. 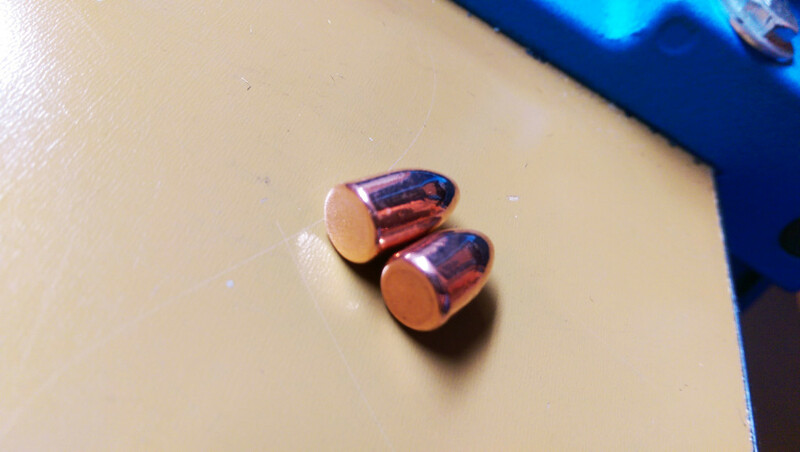 I normally load one bullet, powder for each like, 308, bullet such as 168 gr. Hpbt with Standard powder charge I keep these in the back of my sierra loading manual I know how many rds I get per pound of 748 powder. I try to buy powder and primers locally to keep a local supply flowing. Bullet can be an issue so I will buy some mail order and some local when I can find them. I do have a large inventory on hand but I restock as I consume the product. worth reading. Keep up the work because it is paying off. Will do, thanks Dean! I’m trying to remember but I think I bought the Lapua for way less…at least for my 308.